CAIRO (AP) — Yemen’s rebels claim they halted advances of their adversaries, the U.S.-backed, Saudi-led Arab coalition, at a key battlefield around a strategic Red Sea port city. Fighting continued around Hodeida on Tuesday despite the statement from the Shiite rebels, also known as Houthis, that a three-pronged coalition assault had been stopped around the city’s outskirts. The fighting has left dead bodies lying on the ground and inside burnt-out vehicles at the city’s edge, according to witnesses who spoke on condition of anonymity, fearing for their safety. The witnesses also said several civilians have been killed by shelling in residential areas. The Houthi statement also claimed the rebels stopped an attempted incursion by “mercenaries of the Saudi army,” into Yemen from Jizan, a region across the border in Saudi Arabia. Earlier on Tuesday, the rebels detained two journalists in the capital, Sanaa, colleagues said, speaking on condition of anonymity for fear of reprisals. One man was taken from his production company’s office, and another from his home, and both worked with foreign television news channels. 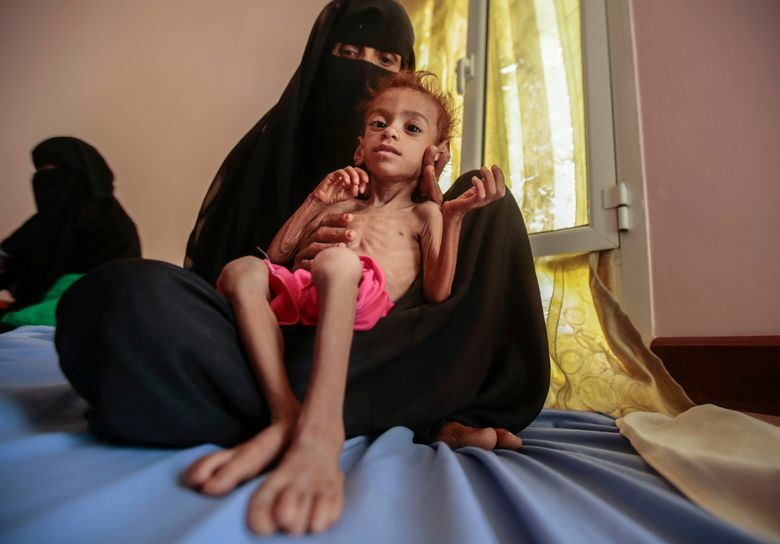 Meanwhile, the Norwegian Refugee Council said millions of Yemenis are edging closer to famine and fatal disease as the Saudi-led coalition’s blockade on sea, land and air routes in the Arab world’s poorest country continued. 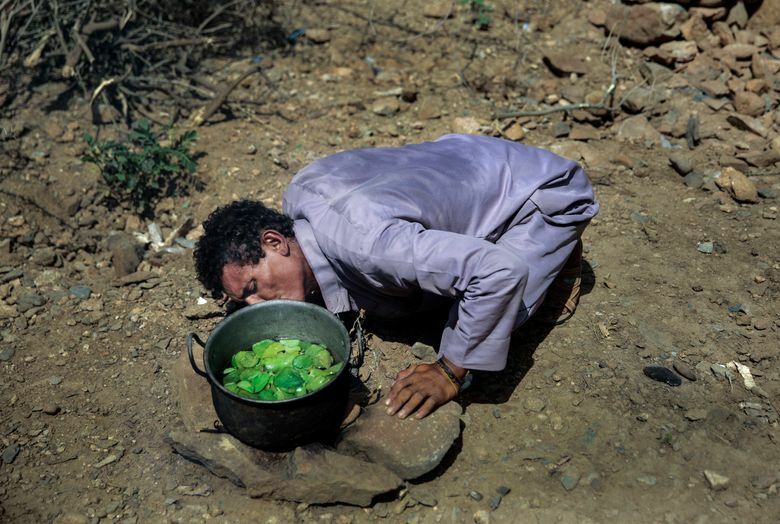 The Saudi-led coalition, which seeks to restore to power the internationally recognized Yemeni government, has been at war with the Houthis since March 2015; the stalemated conflict has generated the world’s worst humanitarian crisis. The United States has sold billions of dollars’ worth of arms to Saudi Arabia and provides logistical and other support to the coalition.